The first important thing to know about UNILORIN’s post-UTME screening examinations so far is that it is usually a Computer Based Test (CBT). As far as we know, the questions are usually around 50 in number which will last for only 25 minutes to 30 minutes. The questions can be categorized into four segments or subjects which are English Language, Mathematics, General Questions and Current Affairs. However, note that they may not separate the subjects in the exam. Generally, UNILORIN doesn’t have a specific ratio used to deliver the questions in these segments. So, you may see more General questions from logical reasoning, analogies, geography, biology, etc than Mathematics, English or Current Affairs questions. 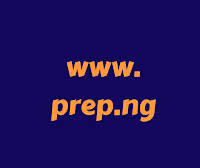 These past questions from UNILORIN past post UTME screening exercises are expected to give you a helping hand as you prepare for your post utme this year especially considering the stiff competition in UNILORIN. UNILORIN does not really test domain knowledge about your course or faculty subjects. Probably, this is because you have been tested in this regard in your JAMB and O’level exams. So their post UTME is just a way to further screen candidates and make the admission offer decisions easier. As a result, don’t be surprised if you are a Law student and you sitting next to an Engineering student sitting for the same exam. This information is based on last year’s UNILORIN post UTME format. Feel free to explore the past questions below to see what UNILORIN post UTME looks like. You can also take a timed practice exam on the questions, to give you a feel for the exam. You may also want to note that UNILORIN catchment area includes the Middle Belt states which are Kwara, Kogi, Niger, Benue, Nasarawa, etc and also some of the South Western States. UNILORIN putme cut off mark is generally 50% except for the highly competitive courses which are between 60% to 70%. So if you want to set a target for 50% and above. Also note that all that is required of you on the day of the exam is your printout and a pen to sign the attendance but remember to dress decently because UNILORIN doesn’t tolerate any form of indecent dressing. All tHe candidates who made the University of Ilorin their first choice and scored 180 and above in the last UTME are eligible for the post UTME screening exercise.